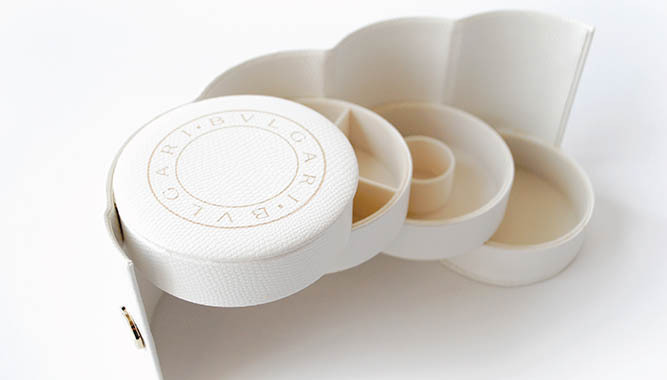 Bvlgari: Beauty in the Details | CREATIVE RETAIL PACKAGING, INC. 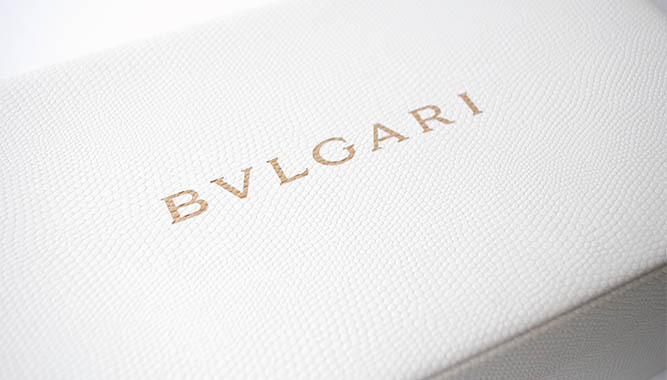 When Bvlgari, one of the most prestigious fine jewelry companies in the world, approached CRP for a unique gift with purchase, we were intrigued by the idea – mainly due to the challenges they presented. The client partnered with CRP to develop an item that would compel both men and women to make a fragrance purchase for Mother’s Day. The criteria consisted of finding a functional, collectible structure that utilized beautiful, high quality materials to meet their Italian standards – all while maintaining an acceptable price point. In CRP’s relentless pursuit for perfection, we partnered with our factory managers to accomplish Bvlgari’s mission. 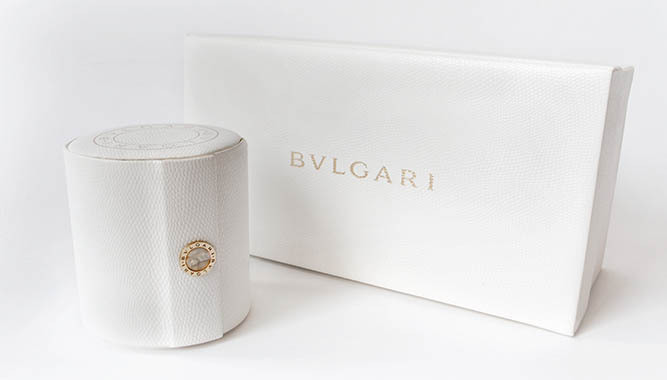 Our gift with purchase solution came in the form of the Valet Box – a luxury jewelry travel box – and matching outer box to house both the GWP and Bvlgari’s signature fragrance bottle. The ivory faux leather material on the outside of both the jewelry box and outer packaging is complemented by beautiful Mother of Pearl and gold embossed finishing accents. 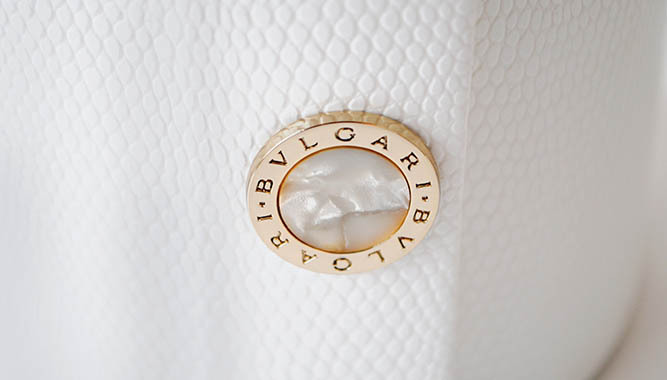 Once opened, the jewelry and outer boxes showcase a matching ivory suede-like material that achieves the luxurious attention to detail for which Bvlgari is known. The resulting product exceeded expectations, with the packaging being ever so much a collectible item as the gift itself.